Technology & Science·What on Earth? In this week's issue of our environment newsletter, we speak to journalist Gregor Macdonald about why 2018 was a pivotal year for electric cars, and why more places are investing in floating solar panels. Gregor Macdonald, a U.S.-based journalist who has written for The Economist, Nature and the Harvard Business Review, believes 2018 was a pivotal year in the global transition to cleaner energy. Andre Mayer spoke to Macdonald about his new ebook, Oil Fall, and how changes in China are reverberating in the oil industry. What happened in 2018 that you believe was significant for global oil consumption? China's vehicle market broke in the direction of electric vehicles [i.e. EV sales went up, despite a drop in overall vehicle sales] in mid-year of 2018, when I was anticipating that might not happen until mid-year 2020. And now that it has broken, it would be a waste of time for people to ponder whether or not internal combustion engines will make a growth comeback in China. The growth prospects for internal combustion engines are over in China. China has a historical record of being able to maximize and supersize and accelerate changes in its economy and its infrastructure based on policy. The United States doesn't have that type of ability to do that. But China does. I use that as an example of why you should take very seriously China's current initiative on electrical vehicle adoption, which is just insanely aggressive. It would be like taking California policy on electric vehicles and turbocharging it. Commodity prices are very sensitive to marginal changes in growth rates. It's very important to the oil industry, for Alberta, to have the market expect that demand be at least a little bit higher next year. That keeps the pressure on prices. I believe that when the global oil market spotted what … started to unfold in China in late summer, I believe that the global oil market had to start repricing future demand growth for oil. 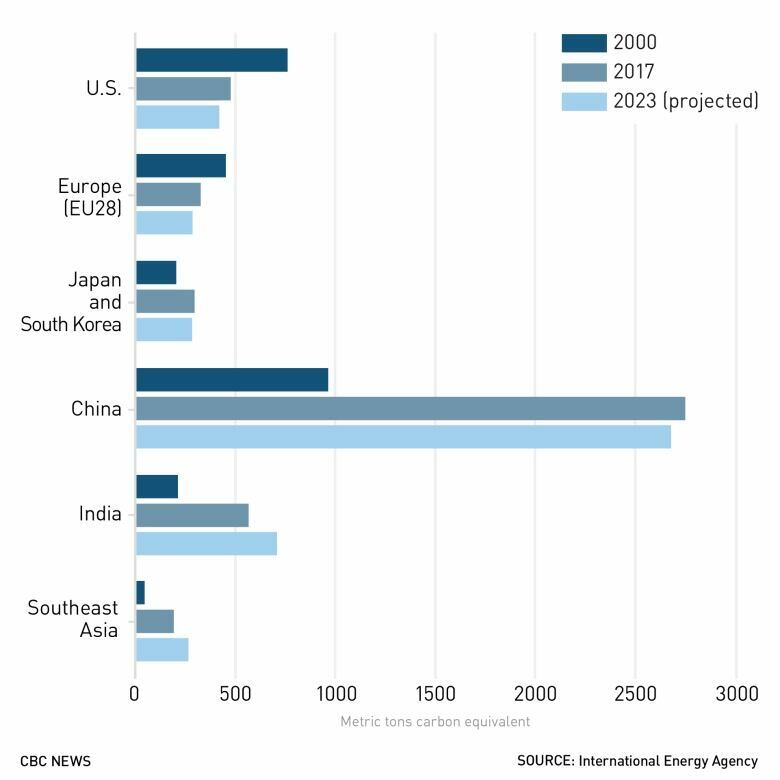 The global oil industry has been living on the prospect of further Asian demand growth. And who's at the cornerstone of that? It's China. It's not often that you can say that copper or gold went way up or way down based on a single factor. But I'm going to express some confidence here and say the break in the oil growth for China changed the [global] forecasts for demand growth. Are there other indicators of a significant global move from fossil fuels? The one other country in the world that has the ability to kick the trajectory of global energy in either one direction or the other is, of course, India. Yes, they've somewhat cleaned up the coal industry, but they've also supported the coal industry, to the dismay of the global climate community — that's fully acknowledged. But India is now starting to build solar [power installations] at a very rapid rate, and has an aggressive policy goal. A beautiful example was the largest solar installation, called Kamuthi. It's, like, 675 megawatts – that's big, that's huge. Kamuthi was completed within under a year. Why? Because India was able to hire 10,000 people, and they completed Kamuthi in less than a year. The faster you get your project completed, and it starts generating useful work for you, the faster you start getting paid back. Let us know your thoughts on the newsletter. One of the problems in creating a large-scale solar power farm is finding a place to put all those panels. You need access to sun, which means wide open spaces are best. But land isn't cheap, and with some small exceptions, they're not making more of it. One solution is to float panels on water. It's been done in many places, including the U.K., the U.S., Brazil, Japan and Korea, and it's scaling up in a big way. The world's biggest floating solar farm rests atop a Chinese lake that formed over a collapsed coal mine and is designed to generate 150 megawatts. That's enough to power more than 20,000 North American homes. An even bigger floating solar plant is being constructed in Indonesia. There's lots of interest in Europe, too. The Dutch city of Rotterdam announced last week that it's commissioning a floating solar "park" that doubles as an art installation. 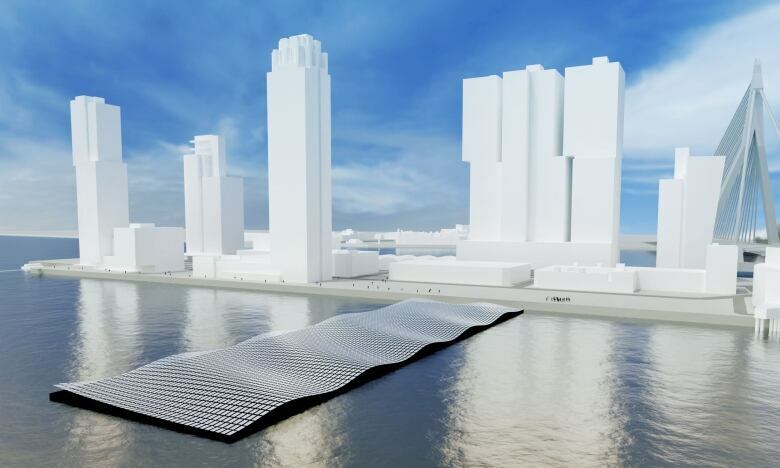 It will be shaped like a strip of gently rolling waves jutting into Rijnhaven, a port on the Nieuwe Maas River. No need to buy or rent land. Lots of access to sunlight. Automatic cleaning from the water, which prevents sun-blocking dirt buildup. Increased efficiency, because of the water's cooling effect. Floating solar also has side-effects that are sometimes considered positive at locations such as reservoirs. The panels slow water evaporation, and by blocking sunlight from reaching the water, reduce the growth of algae. That can also be a downside, since algae is food for aquatic creatures, and stopping its growth could starve the entire food chain. There's not a lot of research yet on those kinds of impacts, but some scientists are studying them right now. Because of ecosystem impacts and the fact that the water needs to be relatively calm, floating solar is best-suited for places like reservoirs behind hydroelectric or water storage dams. Could it work in Canada? The B.C. Sustainable Energy Association thinks so. It suggests that covering 10 per cent of the Williston Reservoir behind BC Hydro's W.A.C. Bennett dam, for example, could generate 13,500 gigawatt hours a year — as much as the hydropower from the dam itself. U.S. President Donald Trump promised the return of "beautiful, clean coal," but in the United States, the consumption of coal — a dirty fossil fuel — is at a 40-year low, thanks to the use of cheaper energy sources. Western countries in general have seen a significant drop in coal use, but that hasn't been the case in large developing countries like China and India. Cities around the world are beginning to hold petroleum producers responsible for their effects on climate. Late last year, 16 city councils in B.C. wrote letters to oil and gas companies asking them to help pay for the environmental damage resulting from their carbon emissions. Reuters is reporting that Ford and Volkswagen will make a major announcement at the Detroit Auto Show on Jan. 15. The scuttlebutt is that it will be a partnership that could, among other things, help them quickly build up their respective electric car fleets. Should food items contain stickers that spell out their carbon footprint? It's a provocative idea, but a new study says consumers make more sustainable eating choices if they are given the right information about it. For many people, a new year offers an opportunity to tweak the routine — or even overhaul it entirely. Here are some of your suggestions. R.J. Meehan wrote that in 2019, "I'm resolving to cut back on waste and misuse." That includes changing diet, and "consuming only what my body, at its premium weight, really needs." 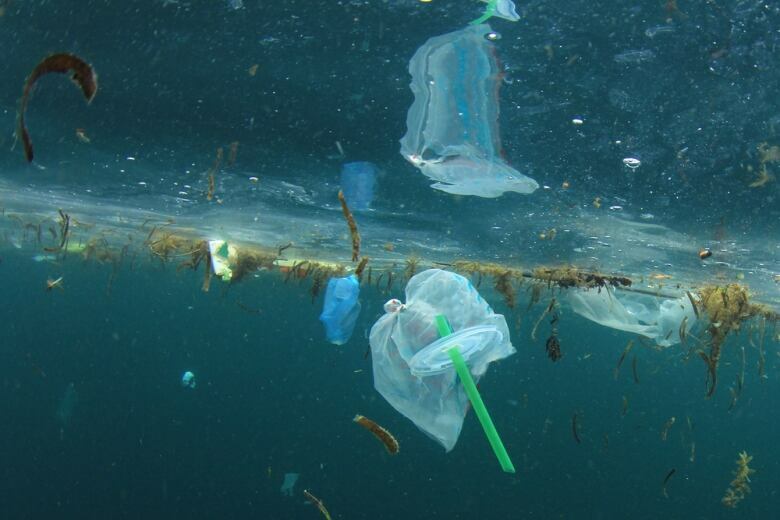 It also means reducing the use of single-use plastics by "taking containers to the bulk bins, returning containers to the point of purchase wherever possible and using used bags for other purposes until they are no longer usable." 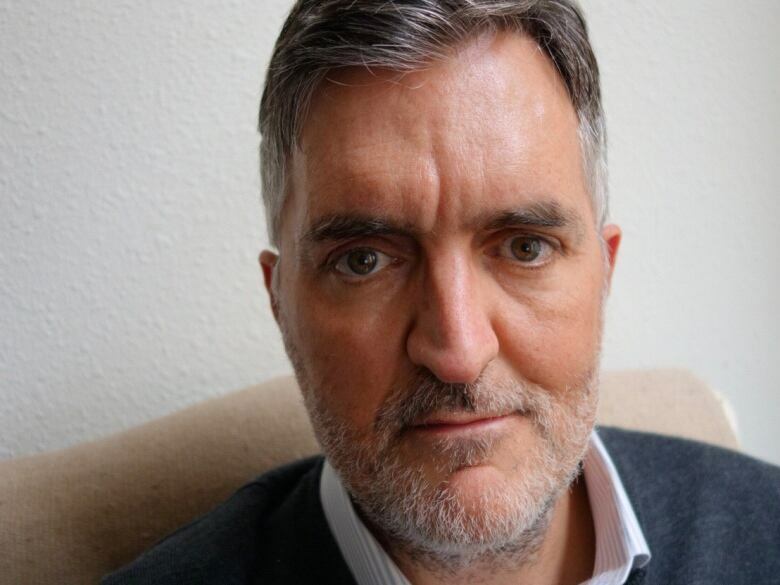 Meehan's aim is to help create "a 'usable' world, to last my grand- and great-grandchildren's lifetime. This will give me incentive." Holly Brown admits she has "long been environmentally minded." While she isn't one to typically make New Year's resolutions, "my growing eco anxiety is prompting me to step up my game even further." She has resolved to "eliminate plastic containers whenever I can." She plans to do so by switching from liquid soap to bar soap ("Bulk Barn sells an unwrapped variety — bonus! "), using bar shampoo and "carrying a reusable container to use for takeaway at food courts and in restaurants to take home leftovers." Zuzana Telepovska wrote that she and husband will spend much of 2019 travelling, but that they will do so with the environment in mind. That will include using reusable LifeStraw bottles for water and KeepCups "for drinks that are served on planes." Conscious of the carbon emissions of flying, Telepovska said, "we do not plan to take many flights," adding that she and her husband will move around "as much as we can on land, by hitchhiking or using public transport." An earlier version of this story said covering 10 per cent of the Williston Reservoir behind BC Hydro's W.A.C. Bennett dam could generate 13,500 gigawatts a year. In fact, it could generate 13,500 gigawatt hours a year.